Dirty Bomb is frantic and entertaining, but doesn't exactly sparkle with originality and stability. Acceptable, but could have been so much better. Dirty Bomb is hampered by free-to-play nagging, small maps, and too many uninspiring matches. Dirty Bomb is off to a promising start. It's very slick, feature-packed and polished for a free-to-play shooter, and while there are elements of pay to win in the business models, you can still have a good time and build up your Mercs without splashing out a lot. Most of all, in returning to its team-based, objective-based roots, Splash Damage has crafted a fast-paced, enjoyable shooter where everything meshes to get players to work together. It's definitely worth your time. 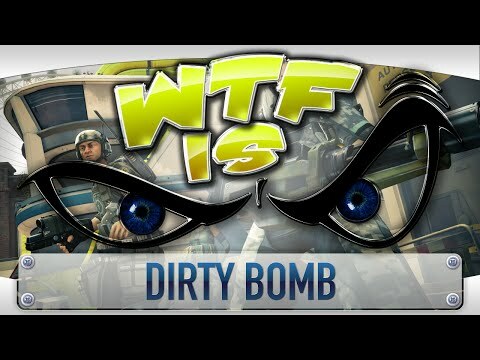 Dirty Bomb is a nice shooter that is a perfect F2P alternative to a lot of the major FPS titles out today. The game is still in beta however, so there are a lot of features to be added and a lot of flaws to buff out. Hope that the devs can fix what needs to be fixed and polish this game to fulfill the potential it shows. There are some balance issues to tweak, and the game's performance could stand to be smoothed out a little – I occasionally experienced some odd end-of-map FPS stutter – but those are relatively minor imperfections. Dirty Bomb is well worth your time already, and I'm excited to see what Splash Damage has in store as the game continues to develop. Sure, you can still play your role and grind through the missions that recycle every three hours, but there isn't the same satisfaction to be found compared to other team games when your side loses not because of your individual effort, but because the game is so skewed in favour of a united team being the best tactic that a solitary player can easily miss the fun forest for the frustrating trees. Dirty Bomb is fresh and fun with fast paced team-oriented action, but is lacking in some of the areas that modern FPS have matured into. But it's a good start to the franchise, with opportunities to expand upon the world there, add some story context and hopefully flesh out the experience further. Once the balancing had been fixed it could be a great team-based shooter, but its monetisation and unlock system will no doubt rub a lot of players to wrong way. That said, it's free and a fairly small download, so it's certainly worth a look, but time is running out to get things right with new competitors almost ready to steal the spotlight.